Well I had a late night yesterday. We went to see Billy Connolly, which was a lot of fun. But didn't get to sleep until about midnight. So this morning I slowly woke up and left home just after 7.30am. I rode down to Central station to catch the train to Austinmer. The weather this morning was really sunny with a nice gentle tail wind. Once I was off the train, I began my ride down to Wollongong. For most of this leg of the ride I followed a nice cycle path. 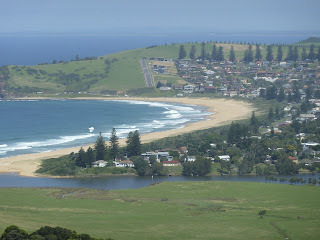 I continued through Wollongong and headed towards Kiama. I arrived at Kiama at about 12.30pm and decided to stop for lunch. Kiama is a small harbour town, which is a very popular place to visit on the weekend. One of it's main tourist attractions, is the giant blowhole. When it is stormy weather it can be impressive. But it was calm today, so there wasn't much to see! After lunch I rode on to Shoalhaven Heads. Which is about 30kms south of Kiama. There were a couple of small hills to go over, but the remaining 20kms was pretty flat. 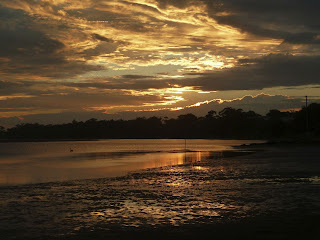 I got to Shoalhaven Heads at about 3pm. I'm camping near the river. Seems like a nice quiet spot. 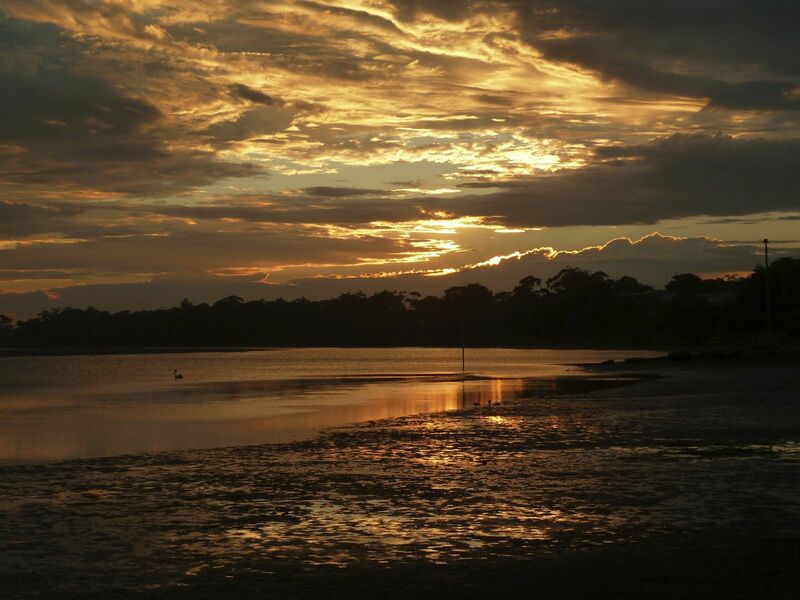 There isn't much to do in Shoalhaven. People seem to come here to relax and go fishing. Whilst writing these notes this afternoon, a small storm rolled over. It was actually very refreshing, as it was getting very humid this afternoon. Tomorrow I'll be going through Nowra, on my way towards Braidwood. It is certainly nice being back on the road touring again. The weather for tomorrow should be sunny again.